professional modder on all game consoles including xbox /xbox360 /playstations /wii /gamecube /PSP PSPgo etc. 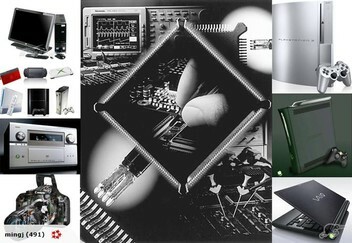 Repairs all kinds of home appliances such as stereo/VCR/DVD/cameras. ps3 200x, 250x slim downgrade. No delay guatantee, normal jobs done same day!!! XBOX360 RESET GLITCH MOD ENABLE YOU TO PLAY GAME THROUGH HDD. SUPPORT NEW MODEL ORIGINAL XBOX360 AND XBOX360 SLIM. I can help with any damaged camera lens. Just email me to enquiry. Water damage iphone mobile phone laptop repairs. Do you jailbreak/install a software on PlayStation 1 that could play pirated/copy Games?? It would be awesome if i could play both original and copyright games on the console. cheers! Dropped off PlayStation 4 to Ming on a Sunday, not expecting it fixed in a hurry, but 2 hours later a text to say ready and care tips to make sure same doesn't happen again. Super service! Ps3 Fixed! Awesome. Thank you. Ming Jiang: Hi, I have replied your email, if you didnt find it, you may need tocheck your junk mail? That model number you supplied is downgradable. Top job on rebooting my Laptop. a++. I would be happy to use this service again for any problems i have. thanks heaps. Thanks Ming, great job on my Cannon 17 - 85 lense repair for the error 99 message. Very well priced and recommended. This is a late review for a great job done for us in March this year. Ming fixed our Canon 17-85mm lens that was no longer usable due to the 01 error. This lens had had the same fault repaired by Canon a couple of years back at a high cost (this seems to be a known design fault in this lens). Ming fixed it same day and shipped it back promptly. The price was excellent and we recommend this trader. Ming was great to deal with and totally trustworthy. Couriered my Canon 24-105 L lens to him for repair and it was back in my hands days later working perfectly. I would put 100% trust in this trader and will definitely use his services again. Thanks Ming! Great service, fast and affordable! fixed by iPhone within a day. highly professional, fast and responsive service, would recommend to anyone A++++ thanks Ming! Excellent service - very fast and reasonably priced! Great work. Had the lens in my ps3 replaced, great price, fast work. Fantastic service! fast! A real life saver. Fixed my canon 17-85 mm lens with dreaded broken ribbon cable problem for about the price canon charges just to look at it.This is a design fault which canon wont take responsibility for without charging an arm and leg. Very good service, Fixed in the same day as dropped of for fixing. Really good service, fast and reasonably priced. Will easily recommend to others. Ming repaired my 17-85mm Canon lens for little more than the price Canon ask to tell you what is wrong with the lens (which you already know). Excellent service, something which Canon knows nothing about, lens came back in a couple of days and now functions fine.